The new set for the fourth hour of the “Today Show” made an appearance in 8 a.m. hour of the program this morning, while Kathie Lee and Hoda were was back down on the first floor for today’s show. 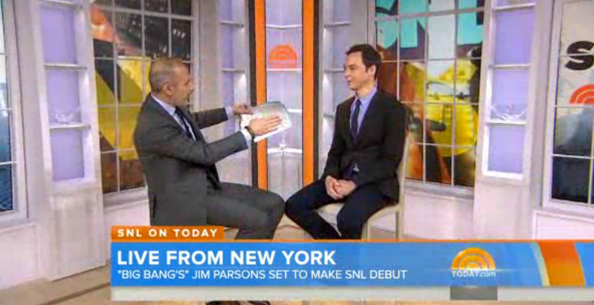 During an “SNL on Today” segment with “Big Bang Theory” star Jim Parsons, who is hosting “Saturday Night Live,” this weekend, Matt Lauer interviewed Parsons in the redesigned second floor corner. Instead of the live video feed of Rockefeller Plaza we saw yesterday during the fourth hour, the set’s faux windows had topical graphics fed to them — which looked a bit odd considering the window panes remained in place. It’s interesting that those frames weren’t designed to be removable or made part of the video feed. The set’s color changing trim was set to orange during this segment. Meanwhile, during the fourth hour of “Today” Kathie Lee Gifford and Hoda Kotb were back downstairs in the main anchor area — and the pair offered no explanation to why. The mix of colder and warm design continues to be baffling — and looked particularly jarring in this instance, though the orange color change did help a bit. 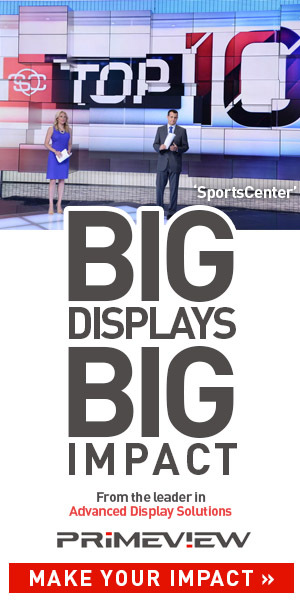 It’s important to note that, due to some segments being taped rather than live, it’s not uncommon for the show to shuffle somewhat randomly between the first floor and second floor spaces — this occurred fairly frequently before the second floor was redesigned — and likely will continue to in order to meet scheduling issues since it allows the show to be going out live on one floor while an upcoming segment is taped on the other. No word if that was the reason here, though.